We have looked at how you can remove friction from your exhibition stand if you are attending a consumer expo, now we are going to look at how to remove friction from your trade show display where you are exhibiting at a trade expo. Often friction involves having too many steps in a sales process that deter customers from completing the process. Friction is regularly thought to be a problem that only relates to sales processes of businesses that operate online in some capacity. But friction can also occur on your exhibition stand, and it can hinder your sales results. Removing friction allows customers and visitors to trust your brand and makes it easier for them to spend money with you. Exhibiting at an industry specific trade expo means that you’ll have visitors attending who are looking to make deals, buy things in large quantities and sign contracts engaging your company to do business. If you have friction with your exhibition stand you will lose these contracts and deals at the expo, but worse still you will have limited contact with the visitors you are trying to speak with. This prevents you from being able to even talk about a deal in the first place! Use the guide below to remove the friction from your stand and to help increase your exhibition sales. The first thing you should assess is how you are attracting and qualifying the leads that approach your exhibition stand. 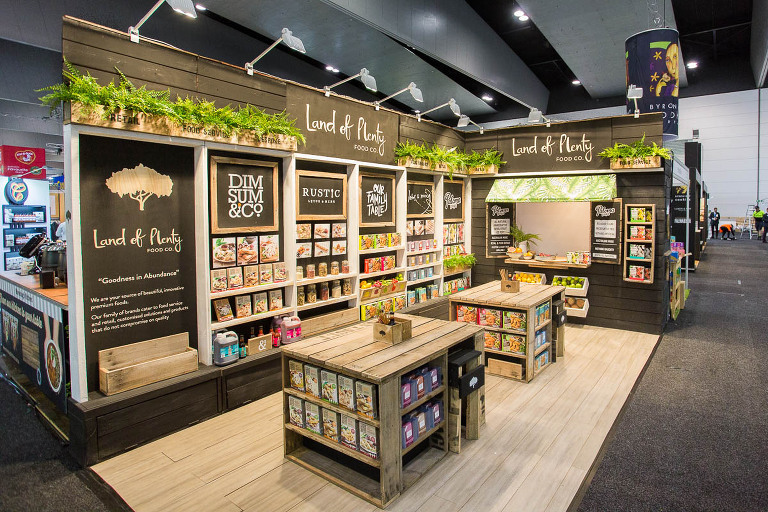 You can find industry specific ways of attracting leads by incorporating interactive elements on your stand. Sometimes there will be an obvious way to do this, i.e. 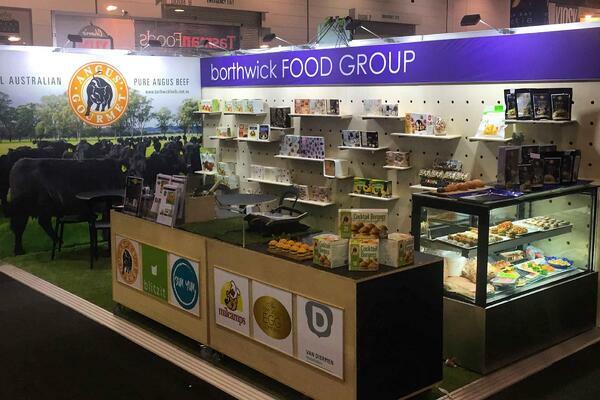 if you attend Fine Food Expo, you might offer free tastings of your products in the hopes of attracting the right customers who will want to stock your products. Conducting demonstrations on the stand can also be a great way to attract leads, the way you then qualify those leads is important. You can hand out testers and provide demonstrations on how your products work, but you also need to qualify whether those people will buy from you. The way to do this isn’t through asking them to fill in complicated forms or asking a million questions. The best way to qualify your leads is to simplify your conversations to include 3 or so questions that will help you qualify leads. You want to make these questions form part of your conversations naturally, so you will need to work with your team to assess what the three most important characteristics are when identifying qualified leads. Once you have been able to quickly and easily assess whether a visitor is a lead worth pursuing, you can move on to other elements of your sales process. Are you still exchanging business cards? Or worse, handing out your business card in the hopes that customers will call you with orders and make your life easy? By handing out your business card and placing the burden on the customer to get in contact you are creating friction. They are unsure of what the process for buying from you will entail, and you’re not being clear about who should really get into contact with you. If you have qualified a potential customer as being worth your time you should never hand them a business card and send them on their merry way, hoping that they will call you. There are many different systems you can employ to remove the friction, one of the best is to ways is to use something like iCapture. This app allows you to take a picture of a business card and the details from the business card are instantly uploaded to your CRM, leaving you free to keep having a conversation with your visitor and follow-up with them at a later time. Business cards still have a place in networking and sales but used in the traditional way they are adding friction to your exhibition stand! Having a meeting room on your exhibition stand is one sure-fire way to remove friction. You can schedule meetings ahead of the show, but you have the flexibility to hold meetings with potential right there and then. This removes friction because there is no guess work, there is no planning meetings and having to work around each other’s diaries. You can head straight into the onsite meeting room and have a discussion with your potential customer. If your budget doesn’t allow for onsite meeting rooms, ensure that you have furniture available where you can invite your visitors to sit and have a discussion with you. To remove the friction from your stand and your sales process you should consider the most appropriate place for the furniture, and also any extra items you will need such as a laptop. Ensure you properly communicate these needs to your stand builders, so they can help you achieve your goals. Ultimately you want to remove any ambiguity on how your potential customers can speak with you. This makes it easier to have discussions around creating sales and deals and removes unnecessary barriers for your customers. The more you exhibit, the more refined your follow-up process should be. Theoretically you would be using your follow-up process often and the process will be a fine art. If it has been a while since you have reviewed your follow-up process, then now is the perfect time to remove some friction! Following on from some of the points above, if your follow-up process involves ambiguity on who will contact who at what times, after how long, and with what information then it’s highly likely you are losing multiple sales. Having a clear plan on when you will follow up leads from exhibiting and what information you’ll need from them helps make the whole process run smoother. It allows for the potential customer to spend more money with you, as there are less barriers. Removing the friction from your exhibition stand will allow your sales to grow from your trade show appearance. It will make exhibiting well worth it and encourage future growth for your company. Exhibiting takes a lot of effort and energy. To really capitalise on that effort, you need to ensure you’re not inadvertently driving away potential customers. If you need help removing the friction from your trade show stand and would like to discuss your stand requirements further, our friendly team is more than happy to help.